James Douglas Muir “Jay” Leno (/ˈlɛnoʊ/; born April 28, 1950) is an American comedian, actor, writer, producer, and television host. After doing stand-up comedy for years, he became the host of NBC’s The Tonight Show with Jay Leno from 1992 to 2009. Beginning in September 2009, Leno started a primetime talk show, titled The Jay Leno Show, which aired weeknights at 10:00pm ET, also on NBC. After The Jay Leno Show was canceled in January 2010 amid a host controversy, Leno returned to host The Tonight Show with Jay Leno on March 1, 2010. He hosted his last episode of The Tonight Show on February 6, 2014. That year, he was inducted into the Television Hall of Fame. 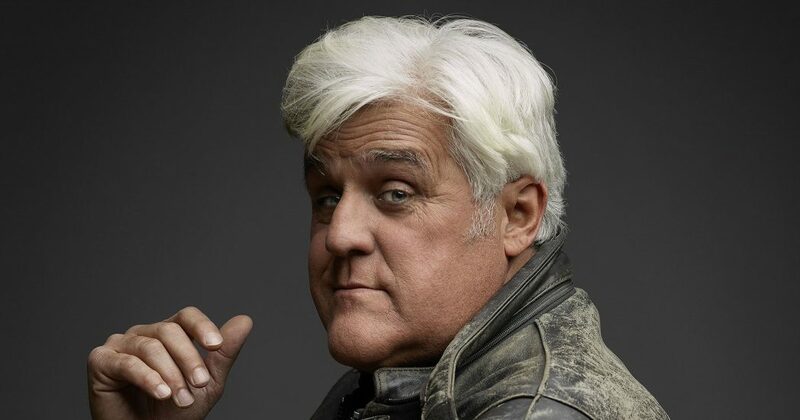 Since 2014, Leno has hosted Jay Leno’s Garage. Leno was born April 28, 1950 in New Rochelle, New York. His homemaker mother, Catherine (née Muir; 1911–1993), was born in Greenock, Scotland, and came to the United States at age 11. His father, Angelo (1910–1994), was an insurance salesman who was born in New York, to immigrants from Flumeri, Italy. Leno grew up in Andover, Massachusetts, and graduated from Andover High School. Leno obtained a bachelor’s degree in speech therapy from Emerson College, where he started a comedy club in 1973. His older brother, Patrick (May 12, 1940 – October 6, 2002), was a Vietnam War veteran who worked as an attorney.